Jaw clenching can take its toll. Headaches, jaw pain and ringing in the ears are some of the side effects of jaw clenching. 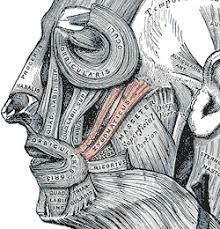 TMJ dysfunction is another common outcome of over working facial muscles. Bruxism is often treated by dentists with tooth guards to prevent worn and broken teeth from long-term grinding. There is no simple solution to clenching, however massage treatment of the muscles that control the jaw can go a long way to managing the problem. Massage therapy focused on the muscles both outside and inside the mouth can effectively reduce the build up of tension. Intra oral massage is done by an experienced massage therapist and focuses on muscles that surround the temperomandibular joint (TMJ) and jaw. The treatment does not need to be uncomfortable or feel too invasive. The results are nothing short of liberating. Decreased pain and and a sense of lightness in the face can be expected. Intraoral massage may not be part of your regular massage treatments but is well worth a try. You may be pleasantly surprised by the results!